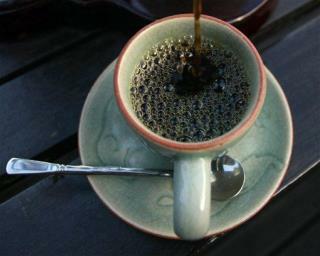 (Newser) – Whether you drink a cup or a pot of coffee per day depends in part on your DNA, as scientists have previously shown. Now, however, a research team has gone further, naming eight specific genes—six of them newly identified—that play a role in your coffee intake, the AP reports. In a paper out today in Molecular Psychiatry, the researchers explain that two of the newly found genes deal with how your body metabolizes caffeine; two are connected to its psychoactive properties, the Harvard Gazette reports. I'm patiently waiting for the upcoming Steak, Lobster and Lager studies ! ! ! I find that a lot of people who don't drink coffee are the ones who have a highly developed taste sensitivity to "bitter". It tastes yucky to them.